Now, hold your horses. 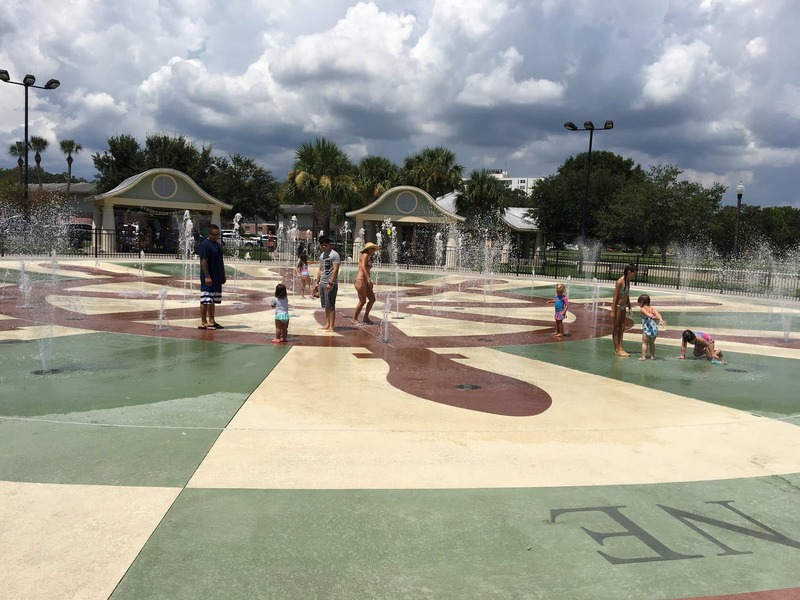 Before we wrap up this part of the journey, it's worth mentioning the several road trips we took to the center of the state, to the Orlando area, in July. It's about 1 1/2 hours each way, and we did it often, for some fun family events (great-niece Olivia's birthday party, Mom's going away party, craft beer night with my niece Chloe and her husband Nick! ), and one really short trip to file some legal paperwork with the state of Florida. Each time we went, Deb got anxious leaving the beach (I'm not making this up) but somehow she managed. We did have a chance to see my brother Mark and his wife Penny's pest control business before heading back east (pest control = genius business to run in Florida BTW). It was very impressive – this business has served them well for decades, and will serve them very well into retirement. I'm happy for them and proud of them both! After dropping Mom in Orlando for her flight north, it was back to her almost-empty house to finish up cleaning and preparation for the new owners. 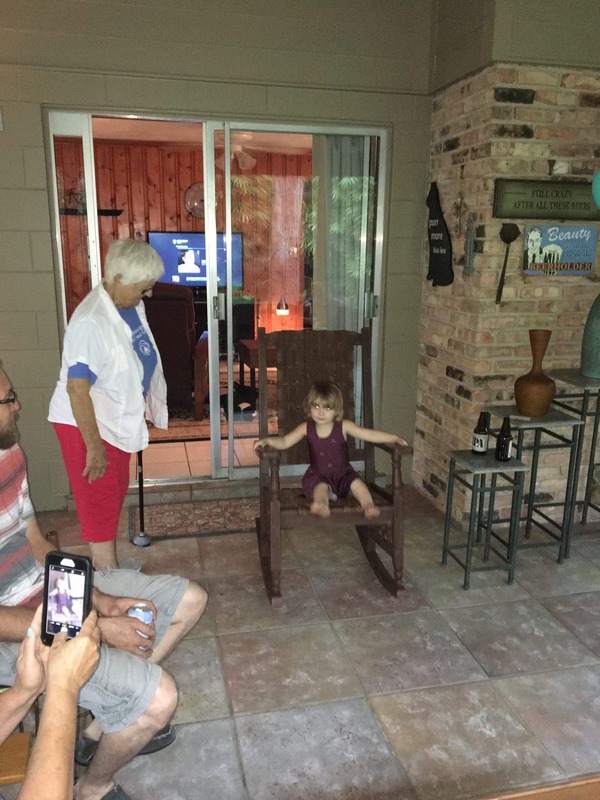 Great-grandmother and great-granddaughter hamming it up at the Going Away Party. At one point we did manage to squeeze in a wonderful casual waterfront dinner on a rainy evening. We sat at the bar at Bonefish Willy's on Pineapple Ave., right on the Indian River Lagoon. This is a family run place, with good people, good drinks, and great food. We had an amazing coconut crusted white fish (can't remember what fish it was!) served with a coconut curry that was out of this world, along with rice and grilled veggies. I'm very wary of sauces that go on fish, lobster, etc. because they usually ruin a good piece of seafood. So I asked for it on the side, and then was very pleasantly surprised when I tried it. They didn't make the mistake of sweetening it up which doesn't play well with fish IMO, it was savory, crispy, just right. The rain kept us under cover at the bar instead of out closer to the water, but that turned out great. 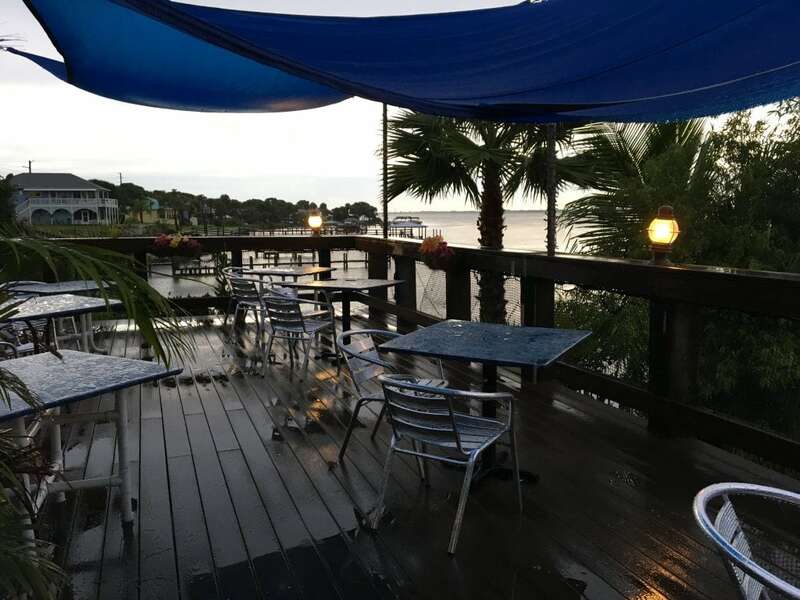 Pro Tip: go when it's raining, you'll have the outside deck to yourselves! All I can say is this is a place worth a try if you ever find yourselves in Melbourne. Before we left we had several sweet encounters with people who already missed my Mom! The lady at the bank, an old friend Anita around the corner, and especially Henry across the street (they have been neighbors for 50 years! ), they all had such kind words and will miss her dearly. Another neighbor, Steve brought us cake! I don't know if he thought the new neighbors were already moving in or if he just loved us as surrogates for Mom, but the cake was delish! So, another goodbye, but no tears this time. Adios Indialantic, until we meet again! Bonefish Willy’s owes you free dinner for advertising. Please let us know how Mom is doing in her new place up North. She’s a helluva trooper for leaving her paradise that she has thrived in for over 50 years. Amazing! ?? You’re making me hungry for good fish! You know, I’ve had some pretty bad fish in Florida before, but this time, knock on driftwood, we’ve done really well! I’m always willing to share half a bottle of Prosecco with you, Normy! This made me laugh out loud Amy! Half a donut with that Prosecco? We’re told in the islands that drinking is an Olympic sport. We’re in training! Also, we are almost always on foot. If not, on bikes. Catching up on your blogs and really enjoying them. Keep it up and thanks so much for sharing them with those of us out West. Thanks David, we’ll keep writing as long as people keep reading.